As night falls on Ho Chi Minh City, Vietnam, traffic descends into chaos. Intersections transform into free-for-alls of motorcycles packed tightly between cars and trucks. Sidewalks turn into freeways, as motorcyclists mount curbs and weave their way through pedestrians and shocked tourists. 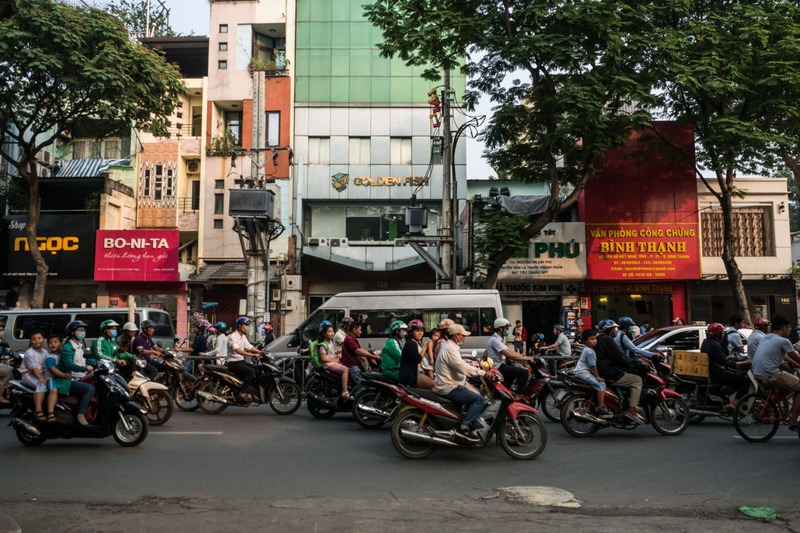 Back in the 1990s the number of registered motorcycles in Vietnam grew from half a million to 7 million, with 8,000 traffic deaths occurring each year. Now, there are currently 45 million registered motorcycles with 14,000 yearly traffic deaths, 59% of which are motorcyclists according to the World Health Organization and the Ministry of Transport. Though tragic, these numbers tell a success story, and can be attributed in part to the Asia Injury Prevention Foundation (AIP) along with Protec, a social enterprise dedicated to providing quality motorcycle helmets that are affordable, suited to the tropical climate, and in line with national safety standards. Both were founded by American social entrepreneur Greig Craft in 1999. Protec now employs over 200 people, including 100 factory workers, one-third of whom are people with disabilities including those picked up in traffic-related accidents. Hoang Na Huong, 37 is the general director of Protec. She applied for the job immediately after University in 2005, where she graduated with an executive MBA in employing people with disabilities. Protec sells helmets to the AIP Foundation at material cost, which are then donated to school children, alongside interactive learning sessions. Since 2000, over 450,000 helmets have gone to the AIP Foundation. Protec also helps to fund public awareness campaigns, through the AIP Foundation, on TV, radio and other multimedia outlets. 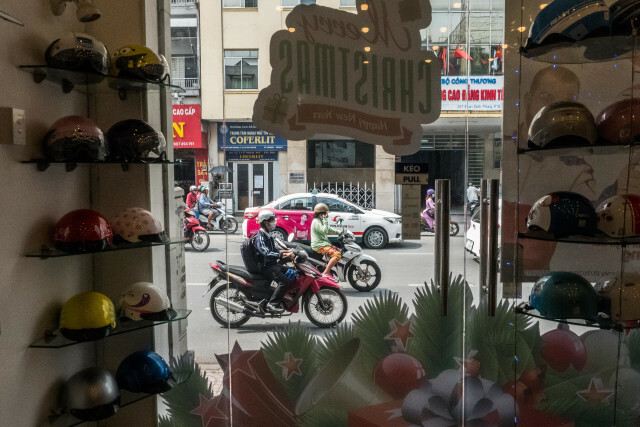 Vietnam is well known for selling large quantities of imitation goods, and this includes helmets. These are not tested, have no standards in terms of production, and are not reliable in an accident. 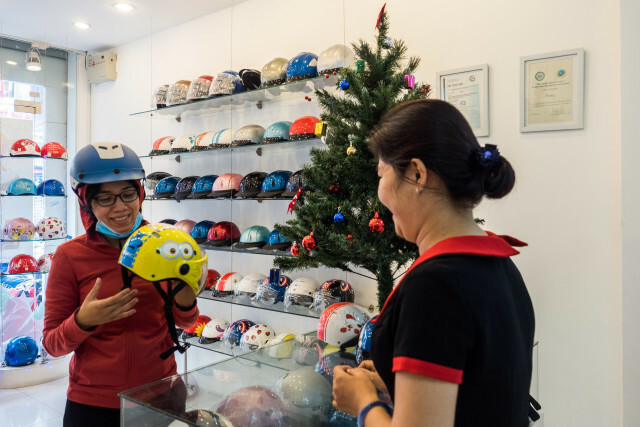 Hoang Na Huong notes that one of the challenges in marketing Protec helmets is trying to compete with cheap knock-offs, and getting people to understand the difference amidst the plethora of regularly used, fake products. The Protec factory is unique in that it provides an assembly line at a height accessible to people in wheelchairs. Vietnam in general is not a disability-friendly country. Hoang Na Huong says that most places don’t provide wheelchair access, and that life and finding work can be extremely difficult for people in this situation. Dinh Thi Thuy, 37, is a Protec factory worker with paralysis in one foot after being thrown from her motorbike and breaking her leg. It’s been mandatory for all motorcyclists and passengers to wear a helmet while on the road since 2007. One year later, in combination with the AIP Foundations’ Wear a helmet, there are no excuses campaign, traffic deaths dropped by 12% and traumatic brain injuries by 24%, according to the AIP Foundation. Since then, traffic safety has continued to improve but Hoang Na Huong says there is still a long way to go. The AIP Foundation and Protec are two parts of a solution to motorcycle-related accidents. 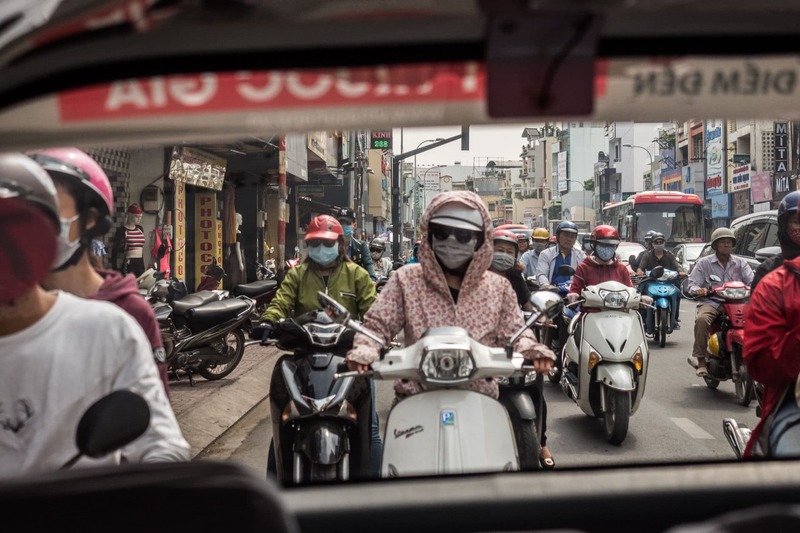 The idea is to not only providing physical protection, but to continue to educate generations of Vietnamese children so that safety measures become ingrained in society as a necessity for anyone who operates a motorcycle on the road. 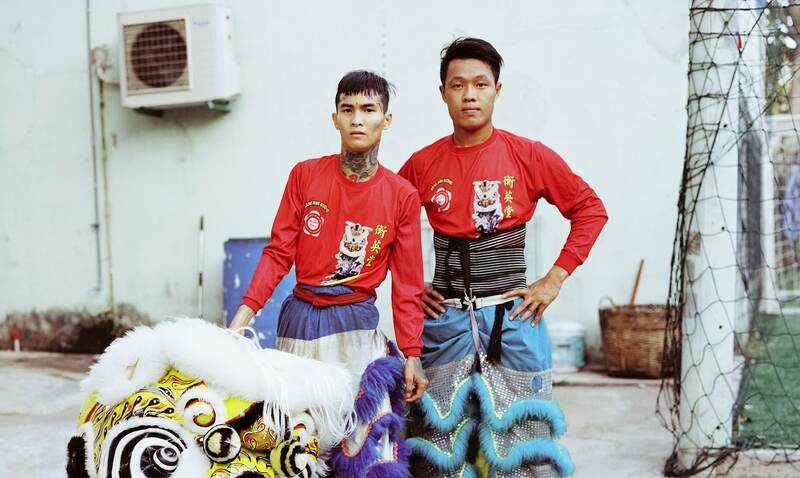 Tags: Awareness raising, Business, Consumerism, Disability, Employment, Empowerment, Garment workers, Health, Materials, Mobility, Social inequality, Youth.